Finally, a shot of Mopsie where you can see his eye. He is black except for his one white paw, so it’s difficult to get a good shot of him. 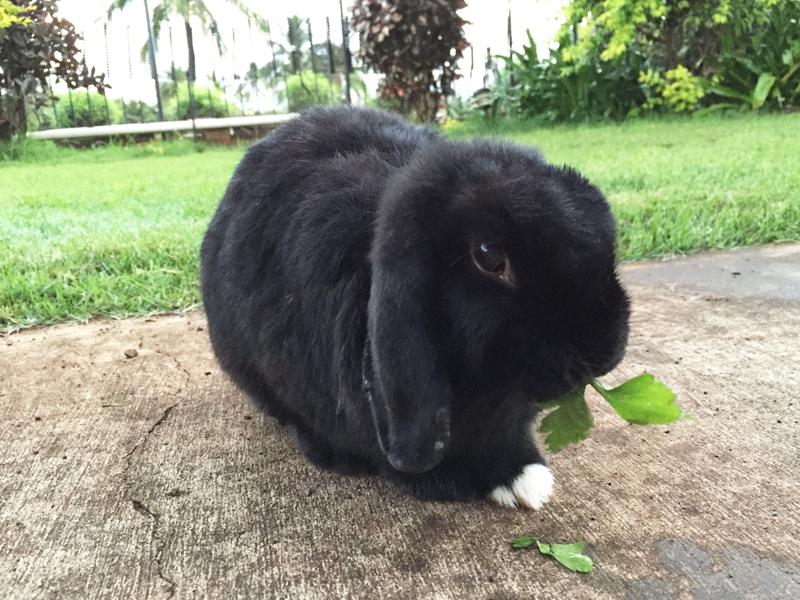 He is eating Italian parsley for breakfast. He looks so cute! Looks like he is eating so daintily… hee! hee! He usually just gobbles everything in sight, including his brother’s food.